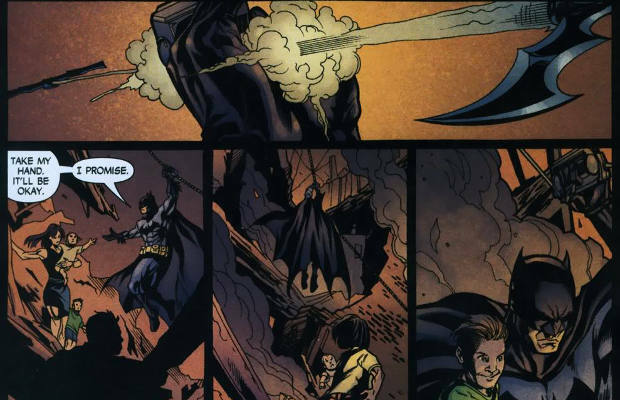 When the traditional grappling hook just won’t do, Batman often uses his trusty line launcher to get where he needs to go. This gadget shoots a cable both in front of and behind Batman, and once these cables hook into nearby walls, he can then zip on this line through windows or in between buildings. Most famously, he used it to save Vicki Vale from the Joker in the Gotham City museum in Tim Burton’s Batman. This gadget is best served for quick escapes when trying to move vertically is impossible.